Episode 4 of the ground-breaking new film following the journey of five students as they make their way to the Holy land of Karbala. Imam Husayn rises up against Yazid making a heroic stand which highlighted for the world’s Muslims that standing up against tyranny is a sacred duty for humanity. As the students walk, though exhausted, they remember the tragedy of Karbala and ask themselves the question: had they been alive in the time of Imam Husayn, would they have helped him to stand up against Yazid? This episode also explores the recent history of Iraq, the American invasion and looks at the “Yazids” of today such as the Wahhabi sect, which has hijacked the true message of Islam to spread corruption in Iraq, and the world at large. As Alastair Crooke rightly said, “You can’t understand ISIS if you don’t know the history of Wahhabism in Saudi Arabia” What is it about the ancient city of Karbala that captivates Muslims? What makes approximately 30 million people travel there each year? The ziarat [pilgrimage] to Karbala is considered a sacred journey for Muslims across the world, especially the followers of Ahlulbayt (as). Every week, Islamic Pulse will be releasing two episodes of ‘When He Calls’ by the will of God, so stay tuned! The Global Revolution of Husayn (A) to Mahdi (A) | Sayyid Hashim al-Haidari Do we have ma\'rifat (recognition) of Imam Husayn (A)? 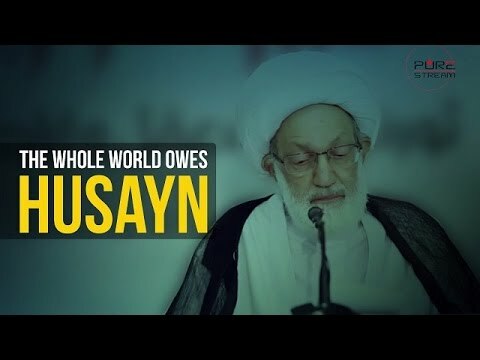 Do we really know what it means to be a Husayni? Do we see a connection or continuation of the divine movement of Imam Husayn (A) and that of Imam Mahdi (A)? Is it possible for a true awaiter of Imam Mahdi (A) to stay indifferent and silent against oppression? Documentary about Imam Husayn(A), the son of Imam Ali(A), the grandson of the Prophet Muhammad(S). This documentary, by Press TV, looks at the commemorations of Ashura, the martyrdom of Imam Husayn(A) by the forces loyal to the Umayyad Caliph, Yazid ibn Muawiyyah (aka Yazid I). A massacre that took place in around 680AD (61AH) on the 10th of Muharram - the first month of the Lunar Calendar. This documentary focuses on the commemorations of Ashura by the Turkish Muslims, and how the event of Ashura serves as a uniting and invigorating force in the lives of the Muslims of Turkey. The documentary is in English, with English subtitles when interviews are conducted in Turkish. Sayyed Nasrallah: \\\\\\\'I Most Understood Imam Husayn & Ashura, during the July War in 2006\\\\\\\' - Arabic Sub English. Sayyed Nasrallah recalls the tough situation that the Resistance passed through during the July war in 2006, and explained that it was during the early days of that war that he best understood Imam Husayn and his miraculous stance on the day of Ashura about 1400 years ago. This video is an excerpt from a speech that Hezbollah Secretary General Sayyed Hassan Nasrallah delivered during the \\\\\\\"ceremony of loyalty to the martyr leaders\\\\\\\" in Sayyed Al-Shohada complex in the Southern Suburb of Beirut on 16/02/12. What lessons can we learn from the life of Imam Husayn (A)? The Leader speaks. Imam Husayn gave everything that was dear to him on the day of Ashura. Why? For what? Do we owe Imam Husayn? Does Imam Husayn (A) stand in need of our services? Or do we stand in need of Husayn (A)? The Movement of Imam Husayn (A) | Ayatollah Khamenei The mourning of Imam Husayn (A) keeps growing, keeps expanding, keeps spreading across the globe. Compare this movement to the past 100 years for example. It\\\'s amazing. A Hezbollah song about the role of Imam Husayn and his sacrifice in inspiring resistance against oppression and arrogance. Shaykh Isa Qasem, who is currently under house arrest after having had his Bahraini citizenship revoked by a bunch of illegitimate foreigners, says a few extremely powerful words about what Imam Husayn (A) means to the lovers of the Prophet and his family. The Leader recites the masaib of Imam Husayn (A) and what Sayyida Zainab (A) said when she saw her brother laying in the sands of Karbala. In this awe-inspiring clip, Shaykh Muhammad Baig explains the Seerat of Imam Husayn (a) and how his struggle was parallel to the struggles of his father Imam Ali (A) and his grandfather, the Holy Prophet (S) himself.